The coastline of the Uribe region is one of the most stunning features of Biscay and the Basque Country as a whole. It is formed by a succession of cliffs, beaches and bays, all with amazing views along the coast. Our beaches are one of the reasons we are best known for and why, in fact, visitors come to our region. In Uribe we have the most sandy beaches in Biscay, (Barinatxe, Arriatera-Atxabiribil, Meñakoz, Barrika, Muriola, Plentzia, Gorliz, Armintza and Bakio), some of which are internationally recognised for the quality of their waves and the possibility of excellent surfing. Your itinerary along the coast must include the fishing villages of Plentzia and Armintza, (Lemoiz), which today mainly harbour leisure craft, but maintain their charm, and you must also taste the delicious grilled fish in one of their many restaurants and bars. 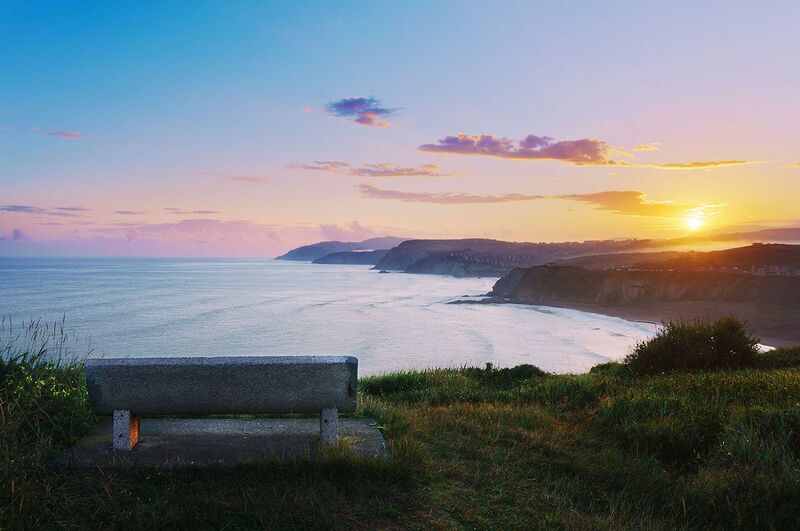 On your route along the coast of Uribe you will enjoy the impressive views from the clifftops, and will also discover the curious rock formations like the tidal stretch and the Flysch. Their nooks and crannies hide a treasure of biodiversity: the rocks, strata and rockpools at low tide are filled with different species of animals and plantlife, and mark many of these areas as especially relevant ecosystems as the home to sea anemones, sea urchins, starfish, hermit crabs and sea snails and a great variety of marine birdlife.